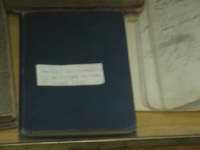 Description Mental Arithmetic Book by William Milen. Printed in 1897. Navy blue in color.